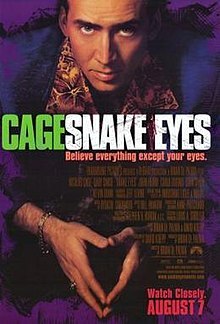 13 Nicolas Cage Movies, For Your Cage Fix and Cage Rage, Nicole Kidman, Angelina Jolie, Samuel L. Jackson and others help Nicolas Cage from being a thief to businessman with a violent past. Watch Nicolas Cage save the world, his daughter and just about everyone. When a Ukrainian immigrant goes from two-bit thug to the world's leading arms dealer, he soon finds that his profiteering comes at a cost. 4 Stars on Netflix. Chicago weatherman Dave Spritz gets one step closer to fame and fortune when he's invited to try out for a spot on a popular national morning show. 4 Stars on Netflix. 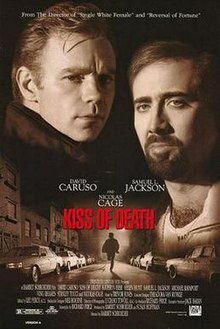 A cop who witnesses a murder during a boxing match mus uncover the plot behind the killing, with help from a friend who's a naval intelligence agent. A ex-con tries to distance himself from his past but reluctantly agrees to help his loser cousin who one last heist that goes terribly wrong. An environmental disaster for his community. A progessive plan to restore and rebuild. Erased in a corrupt heartbeat. After millions of people on Earth suddenly disappear, a pilot flying a place stuck at 30,000 feet must find a way to ensure the passengers' survival. A husband and wife find themselves pushed to their absolute limit when they're held for ransom by brutal thugs who invade their home. A Master thief is ready to leave his criminal past behind. But when his daughter is kidnapped, he's forced to pull off one last heist.